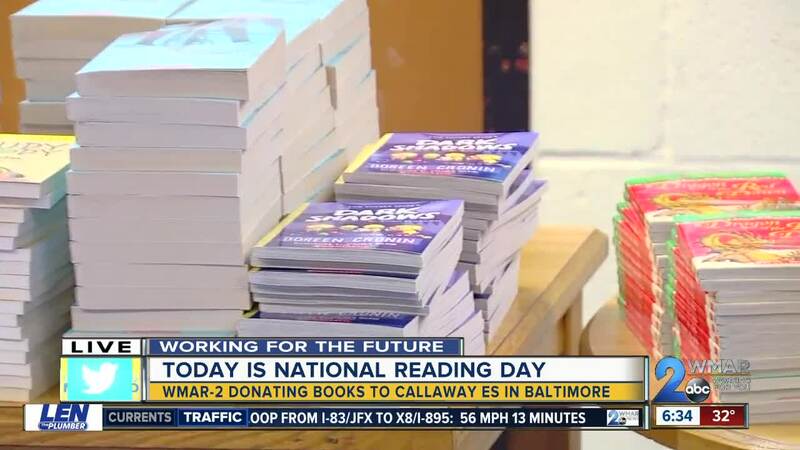 BALTIMORE — It's National Reading Day and students at Callaway Elementary School in Baltimore got the chance to open a few books. It was their choice, any three books to take home and pour into. "These books and this donation shows them that they're trying to make the community better and at the same time the community cares about them," said Rachel Haynes, Callaway Elementary literacy coach. Kids from as young as four years old choosing, opening, and reading their favorite tales. Through donations, more than 1,300 books were available for these students. "Reading really builds knowledge for our students and so we spend a lot of time learning about how to read and how to write. But it's all in service of being able to learn," said Haynes. 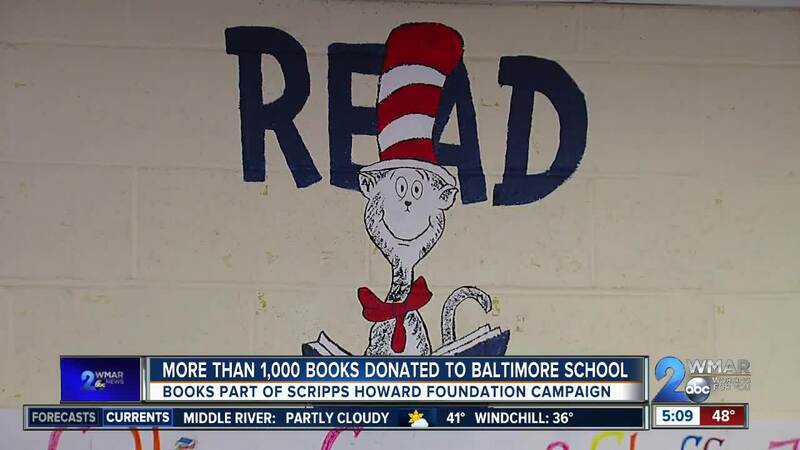 All of this was part of the Scripps Howard Foundation's 'If You Give A Child A Book' campaign where employees from WMAR-2 News donated their own money for the new books. "It means so much because books start a lot of things for the kids: it starts their imagination, it starts life long learning and this just starts the need and the want for an education," John Bullock, Assistant Principal. After they got their books, students sat down and listened to some of their favorites, encouraging the next generation to sit down and take time to flip through the pages. "Taking that opportunity and taking these books and whether they're fiction and you're building your imagination or you're learning about 'Predator vs. Prey' - one of the books over there - you're building that knowledge of the world and opportunities for students then," said Haynes.